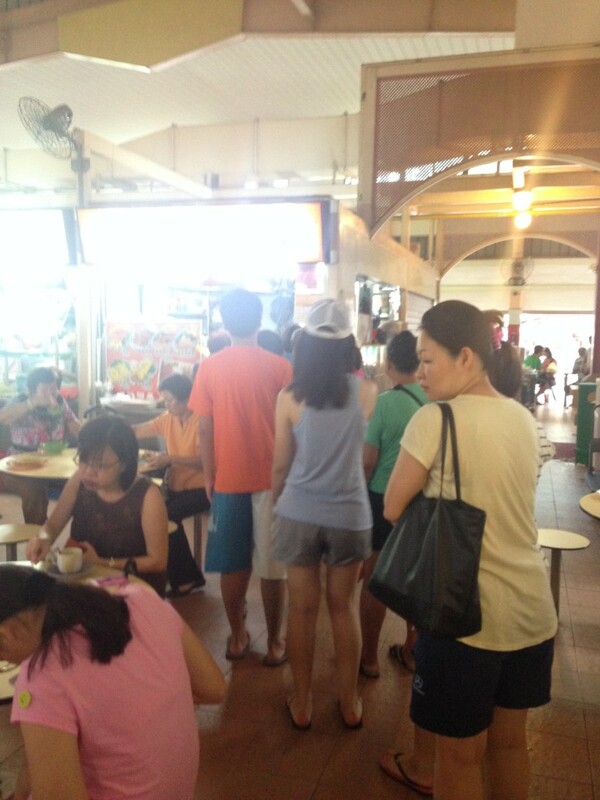 A truth about many Singaporeans: If they see a long line anywhere, they’ll get in it. The idea is that if there are that many people in a queue, there must be something good at the front of it. As much as I think this is silly (and enjoy mocking it), this urge does strike me — but only when it comes to food lines. 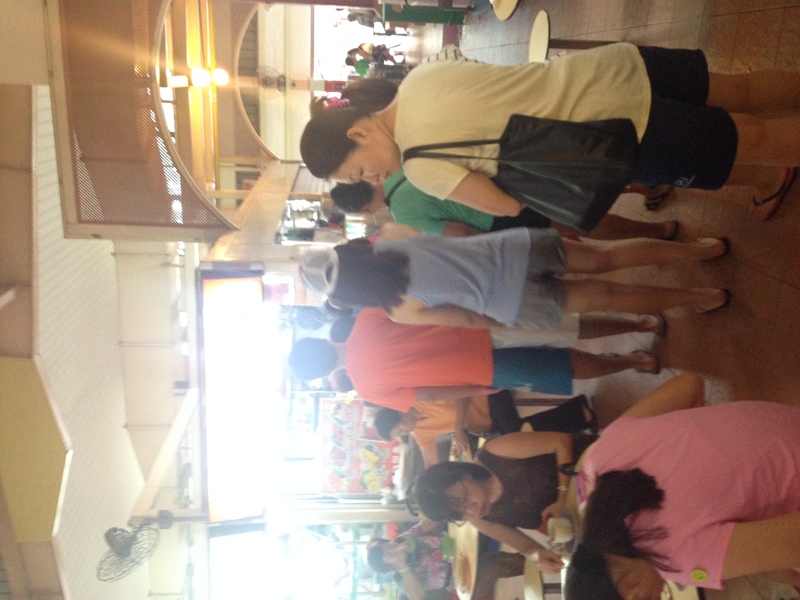 So when I spotted a long line snaking out from a Singapore hawker stall this morning, that was it. I stopped walking, turned around — and immediately joined the queue. 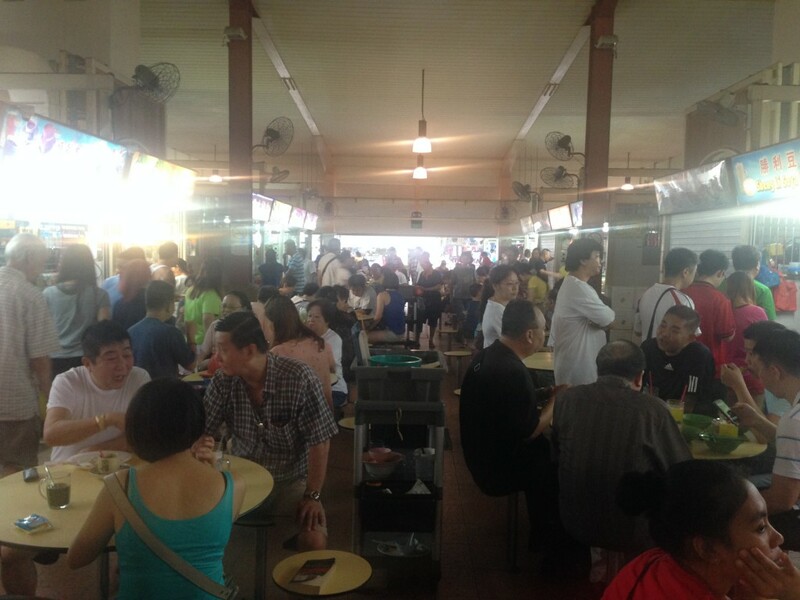 Now, if you’ve never been to a Singaporean hawker center at breakfast, this is the melee you’ve been missing. Amid all this, this was the line at Chen Ji Wanton Noodles, which sells one of Singapore’s most popular basic hawker dishes — noodles tossed with a gravy made from soy sauce, chili sauce, sesame oil, white pepper and more, topped with Chinese roast pork and wantons (or wontons to the rest of the world). 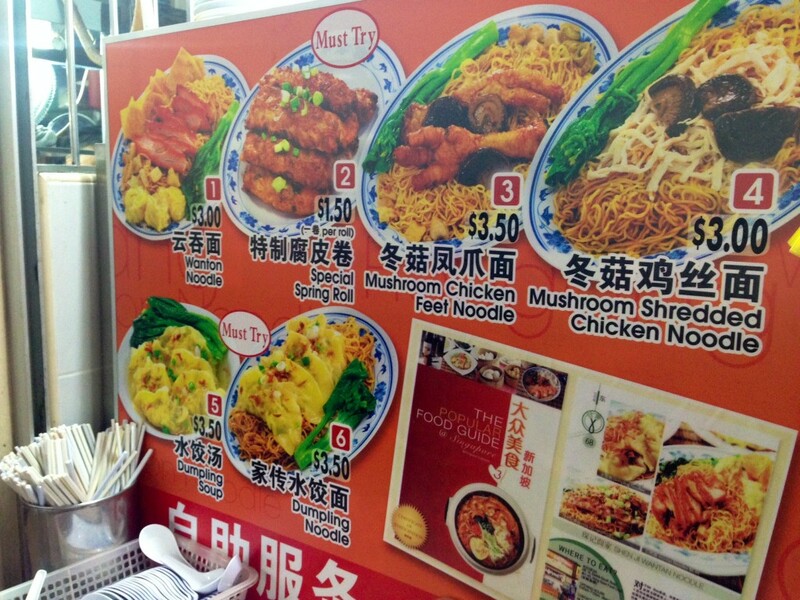 In fact, I had never even noticed this stall before — but clearly, it’s a fairly modern hawker, judging from this sign nudging you to “Like” its Facebook page. 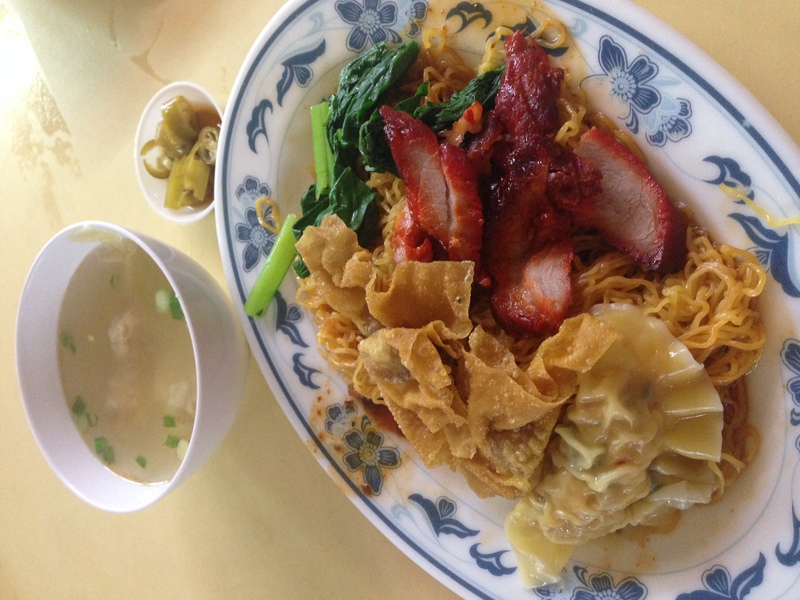 Surprisingly, the wanton noodles weren’t a “Must Try” dish. But, I was hooked from watching them behind the counter. 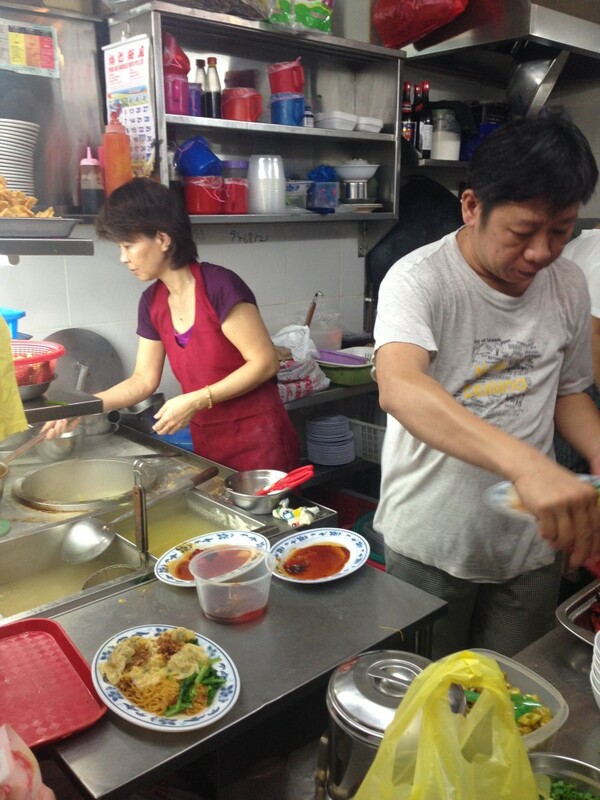 The three cooks in there were non-stop whirling dervishes when it came to putting together endless plates of wanton noodles (which clearly were the most popular item) — fascinating to watch. 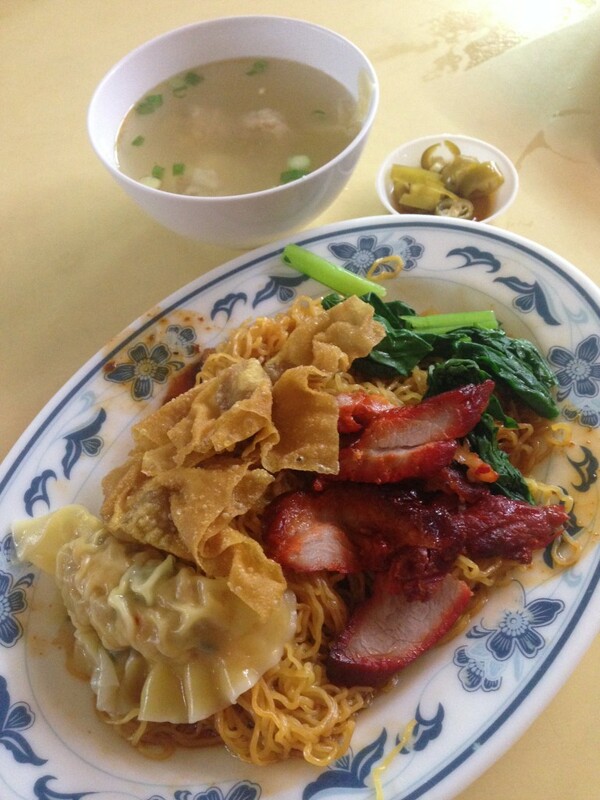 When it came time to order, I asked the wanton mee guy, “Uncle, zen me liuxing ah?” (Uncle, so fashionable? ), pointing to his Facebook page sign. 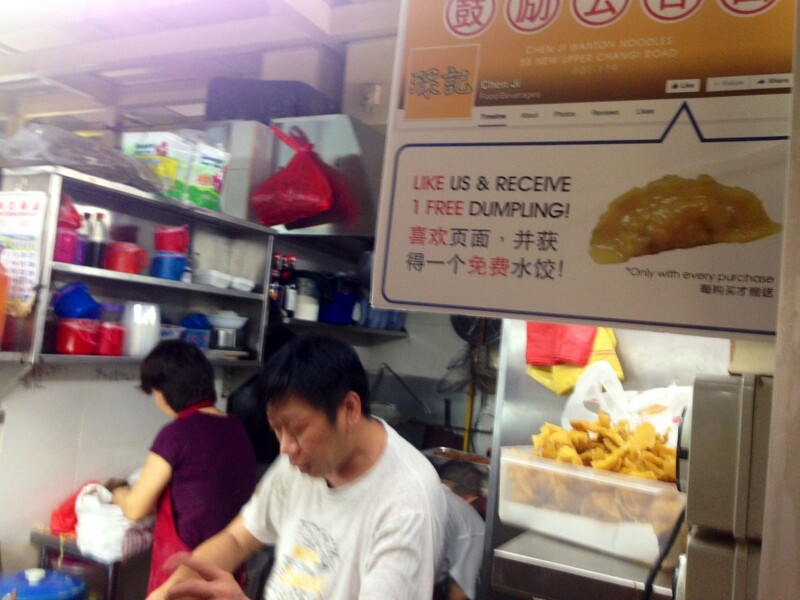 He laughed and tossed a free large dumpling on my noodles. And, it turned out, I liked his noodles as well. 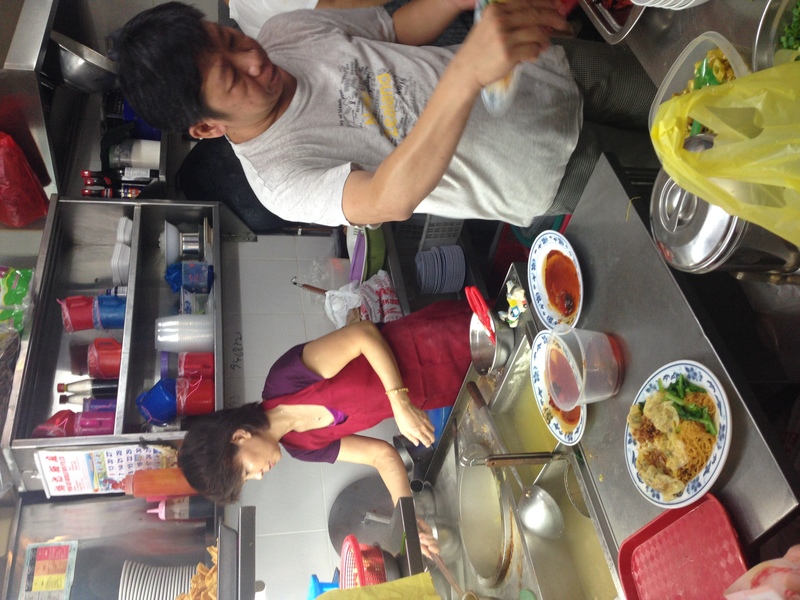 They were nicely al dente — key in wanton noodles — and the gravy was subtle. The portion, for just Singapore $3, was generous — you not only got a mound of roast pork and four wantons in soup, but you also got a few deep-fried crispy wantons as well. This, along with my free dumpling, was a sheer feast for breakfast. So I suppose I stand corrected. This Singaporean tic of blindly getting in line? Not such a bad idea.